Tender and fragile - this is one of the myths about glass which can be easily refuted if you decide to buy kitchen countertops and glass bars. In addition to the elegant and lightweight design, there are a lot of advantages of glass table tops: naturalness, resistance to most chemicals as well as simple cleaning. Glass is a noble material with a huge potential for its use in the interiors of apartments and furniture. In addition to such popular applications as utensils, doors and cabinet elements, designers and architects are increasingly striving to use glass as various types of surfaces. An example of this can be glass countertops, benches and tables, commercial counters as well as bar counters. 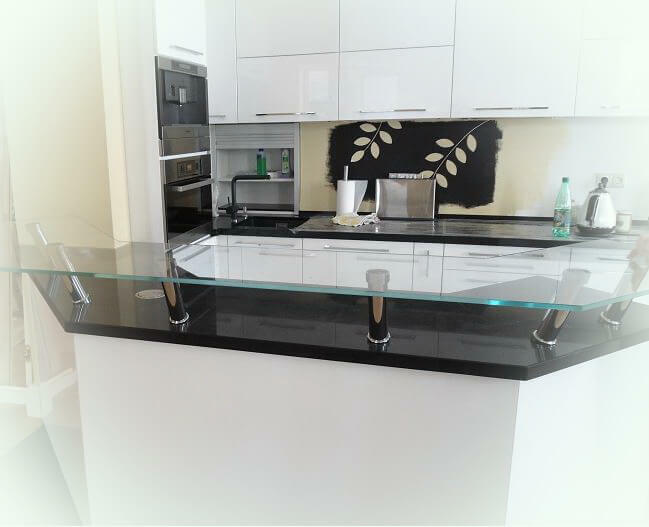 Giovani Glass is using a number of technologies that allow you to make a thin and at the same time reliable material for the production of strong glass worktops. For example, the transparent glass is being melted and liquid tin is added to it. 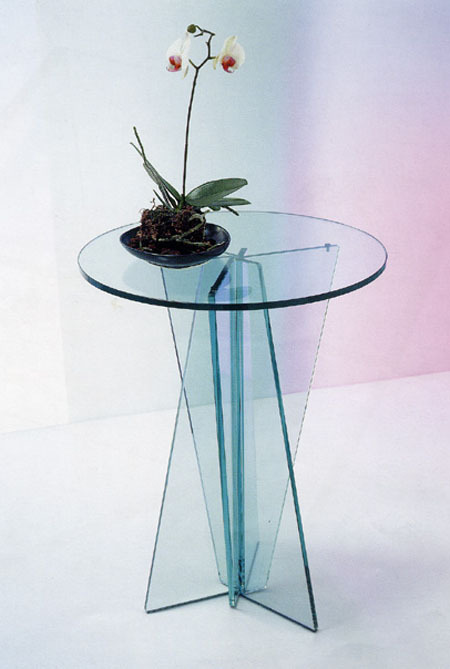 The result is a glass with high transparency and a wide range of thickness. 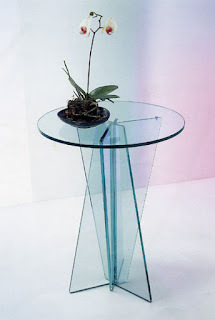 By rolling the mass of melted glass between the two cylinders, one of which is covered with a pattern, you can get various decorative options of glass table tops. The modern industry manages to combine different textures and types of glass. For example, there are models where the decorative component is a broad matte or colored strip in the middle of a transparent sheet. Such a glass countertop can decorate any modern interior. By the way colored glass today is very popular both in the kitchen and in the bathroom. This is a fairly new product, but it has already managed to gain popularity among those who like stylish minimalist design. If you are interested in such a style, then a glass countertop in the kitchen or in the bathroom should be your choice.